Enjoy a pub crawl with your ladies in this sleek leather skirt. The muted green works the same as a neutral hue, making it so easy to style. Pair it with your favorite night-out top, and you’re game. 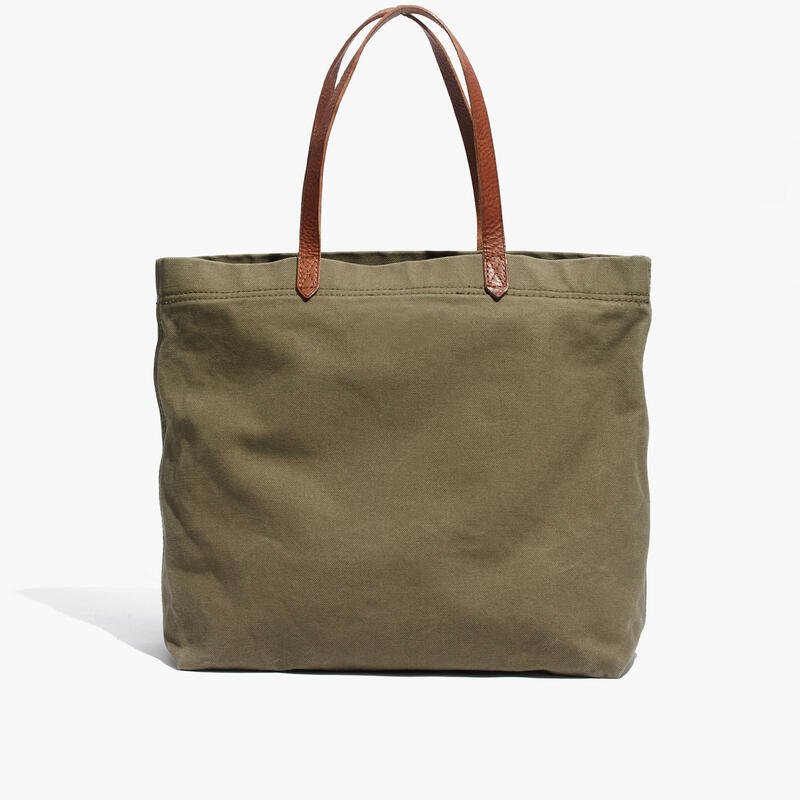 You’re going to want to add this tote to your collection. The versatile shape can be worn long after the holiday’s over. Dress it up or down, a pair of trousers is a closet staple at this point. The loose fit keeps the look comfy and casual while the pleats and fabric add that sophisticated touch. 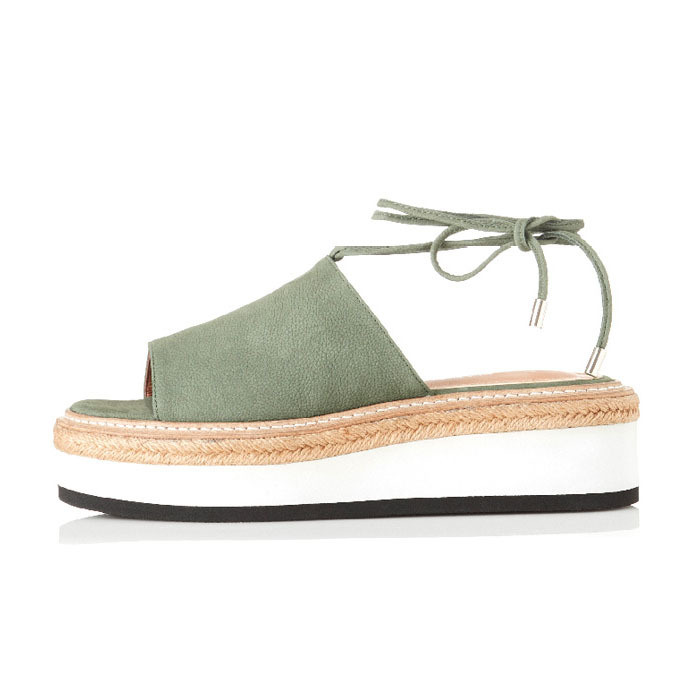 Flash a bit of green on your feet with these trendy sandals. The lace-up straps come in handy when you want to give your ‘fits a feminine flair. 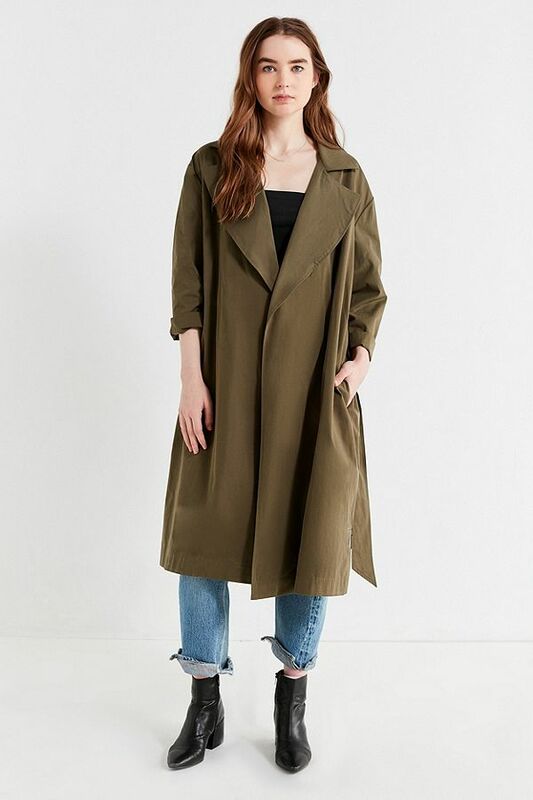 Slay the style game in this timeless trench coat. Trust us, you’ll be reaching for this year-round. If you’re more of a jeans-and-tee kind of gal, you’ll love this top. 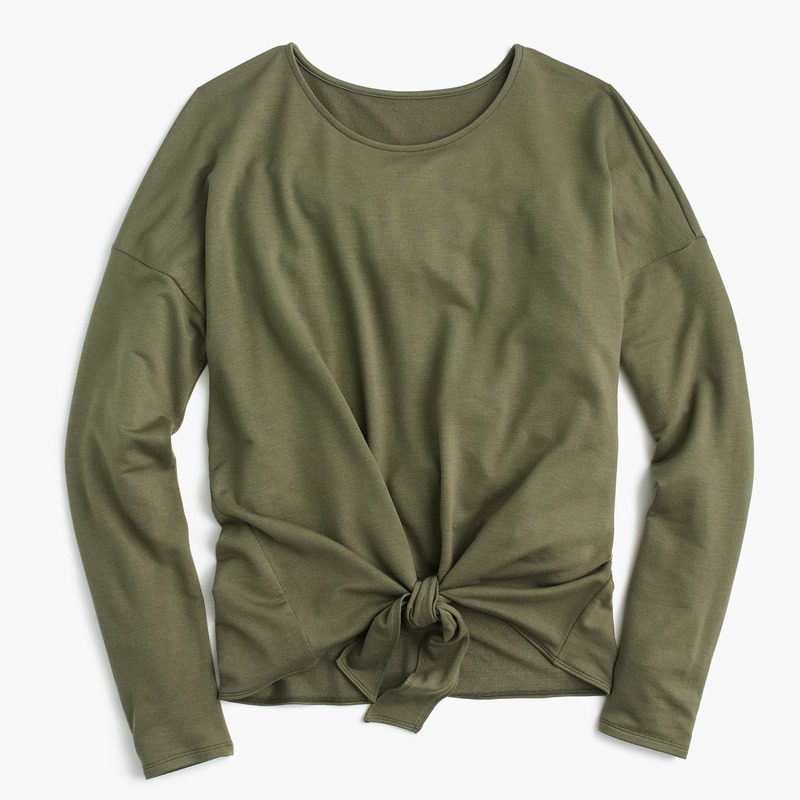 It features a unique twist in the front to make it different from the other basics in your wardrobe. 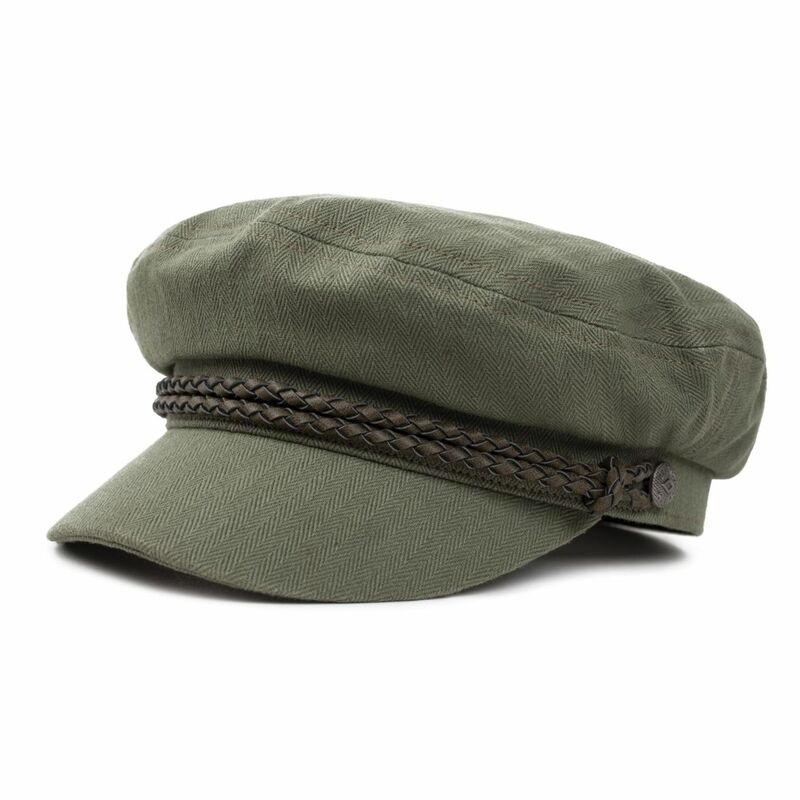 You’ve probably seen these hats everywhere, so why not add an olive one to your rotation? 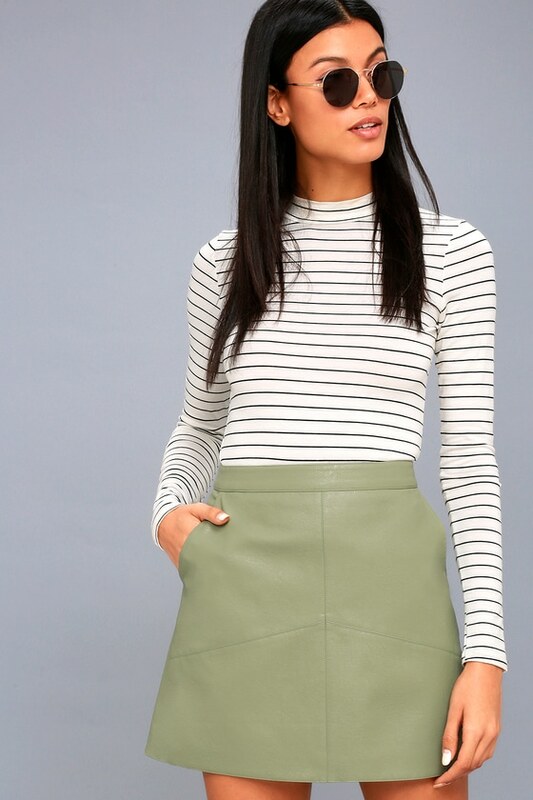 The army green shade will make any ensemble a more grungy one. Comfort and style? You know we’re in. Cozy up in this cardigan that’s just too cute (and soft) to pass up. 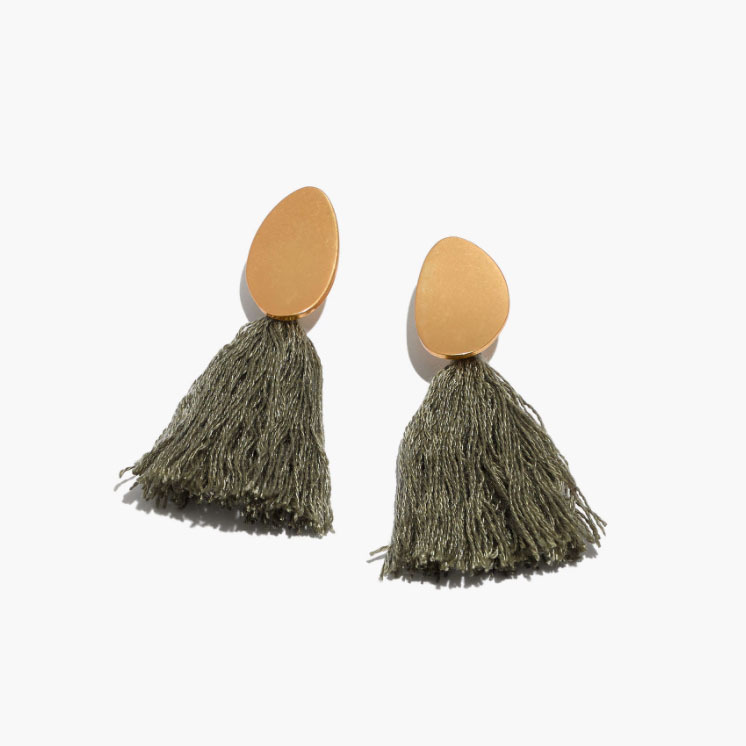 Stay on top of the latest detail trend with Madewell’s best-selling tassel earrings. Plus, the subtle splash of green will ensure your day is pinch-free. This rich green dress features flirty straps and a flattering silhouette for a festive and fashion-forward look.